← [Sales] Further reductions on Asian and Cosplay! [Replay] Check out the players’ favorite quests! Since 2009, hundreds of quests have appeared on OhMyDollz. So many different universes have marveled the players through these events! Our team has selected 10 of the most popular quests in the community! Until Thursday, we invite you to discover these most memorable quests and the opportunity to replay them. Enjoy the return of these quests to do the ones you missed, or redo the ones you loved! Our Doll decides to pack her bags for a magical journey on a quest to discover her origins. During this double-ending quest, you can win the Fairy Room or the English Cottage Room following the ending you choose. You can access both rewards by playing the second end for 150 Fee’z. If you already own the room, you will gain its extension by doing the quest. Make your entry into the world of magic and experience an initiatory trip into the world of wiccans! During this double-ending quest, you will be able to win the Magic shop room, as well as its extension. You can win both parts of the room by playing the second ending for 150 Fee’z. 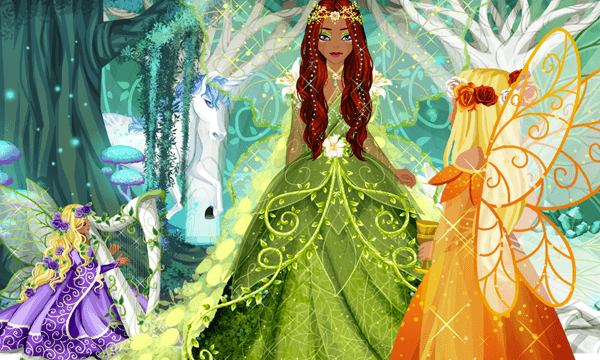 Your Doll will be in the forest of Brocéliande, cradle of the Knights of the Round Table! During this quest, you can win the medieval room, as well as its extension. During this double-ended quest, you can win the Rainbow room or the Thousand and One Nights room depending on which ending you choose. You can access both rewards by playing the second ending for 150 Fee’z. 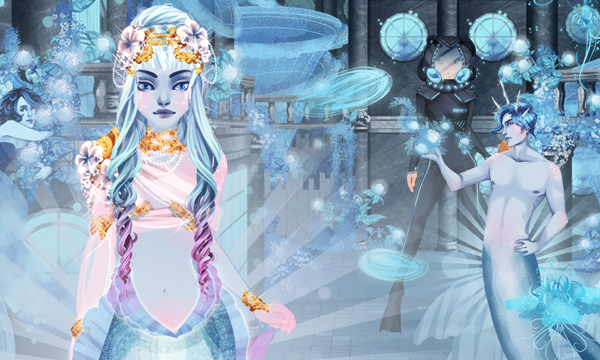 Marvel at the beautiful landscapes of this quest and get precious furniture and dresses who would fit the most powerful gods of ancient Egypt! During this double-ending quest, you can win the Egyptian Palace room and its extension. You will win the Osiris Palace or the Bastet Palace theme of the room depending on which ending you choose. You will travel through the marvelous eclectic landscapes of Japan and discover the traditional and modern Japanese fashion styles. During this quest, you will be able to win the Japanese Palace and the Mangaka profession. The Mangaka trade will earn you a salary of 7 $$$. Here is a quest in which your doll is going to have to face her responsibilities and assume the consequences of the decisions she makes. During this quest, you will be able to win the Disco room. During this quest, you will be able to win the Retro room and the opportunity to unlock all the temporary stores of the game for 30 days, starting when you finish the adventure! Your doll takes advantage of her holidays to join a club at the seaside, on OhMyDollz City’s shore. Once there, she feels the call of the open sea. What could possibly be hiding in these underwater depths? During this quest, you will be able to win the vertical Submarine room and the submarine explorer profession. The submarine explorer profession will earn you a salary of 7 $$$. Participate in a TV show to be crowned OhMyDollz City’s best pastry chef! During this double-ending quest, you can win the Cake shop room and its extension. You can visualize the gifts of a quest in replay and then go back to your choice: Click on a replay, and click on “see all the gifts”. You can then choose to go back to the selection page by clicking on the “replay” or “Back to the choice” button at the top of the quest page. You can return to the replays selection page until you have validated the first step. Be careful, when you start an adventure, because once you have validated the first step, you will have to finish this quest completely in order to move on to another one. So think carefully before validating the first step. The quests contain multiple stages, which some that can be bought with Fee’z, will have to finish it completely to access another replay. You will be able to Replay of these quest, and the associated shops, until Monday 10th August 2017 at midnight (CET). This entry was posted in , OhMyDollz. Bookmark the permalink.